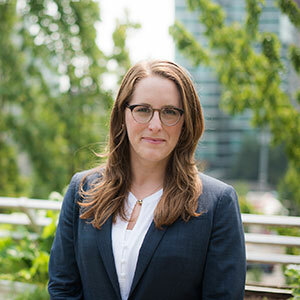 Dr. Lindsey Richardson, PhD, is a Research Scientist with the BC Centre on Substance Use and Assistant Professor in the Department of Sociology at the University of British Columbia. She is a medical sociologist whose research focuses on the determinants and consequences of employment, income generation, and socio-economic marginalization among people who use drugs who are living with or at risk of contracting HIV. Dr. Richardson is currently the Principal Investigator of two ongoing studies: 1) the Cheque Day Study, a randomized controlled trial examining the drug-related impacts of alternative social assistance disbursement; and 2) the Research Participation Study, a project examining the social and structural influences on and outcomes related to participation in drug use research. Her mixed-methods research links observational research, the implementation of social and structural interventions, and studies on medical research participation. Dr. Richardson holds Master’s and Doctoral degrees in sociology from Nuffield College at the University of Oxford, England where she was a Pierre Elliot Trudeau Foundation Scholar. She is currently supported by a Canadian Institutes of Health Research New Investigator Award and a Michael Smith Foundation for Health Research Career Scholar Award.